COME AND HAVE A SIP AT WOOBAR! 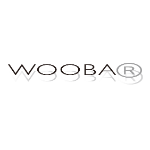 Stylish lounge by day and pulsating club at night—it's all happening at WOOBAR, the scene to be seen at. Here is where you can quench your thirst with Taipei's most innovative and extensive cocktail list; where you can light up the night after dark.